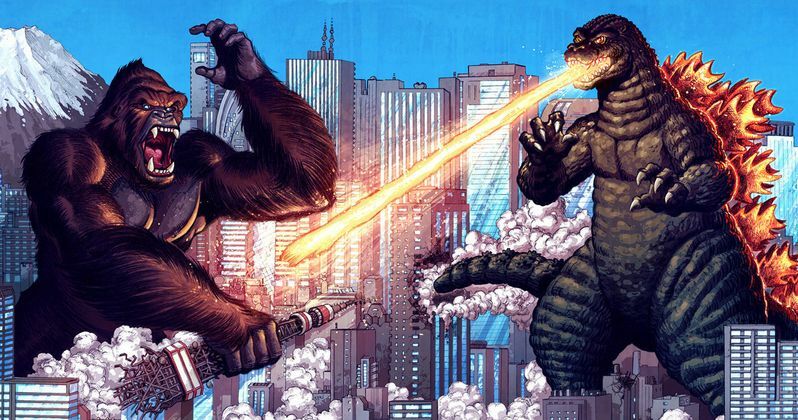 Godzilla vs. King Kong director Adam Wingard has stated that there will be a "clear winner" in his monster battle set to hit theaters in 2020. Little is known about the movie currently, but Wingard has also said that he intends for the movie to be a dark affair, that will take the monster movie in a serious direction. The first Godzilla movie is plenty serious, but Godzilla has been portrayed in a bunch of different ways over the years, so we'll consider this a return to his roots like the first installment in the MonsterVerse. Adam Wingard recently talked to Entertainment Weekly about his upcoming Death Note adaptation that is premiering on Netflix later this month, but the conversation eventually steered over to his Godzilla Vs Kong project. The 4th installment in the MonsterVerse is going to be a giant monster brawl with one monster taking home all of the glory. Wingard spoke to EW about the idea of having a clear victor at the end of the movie. He explains. "I do want there to be a winner. The original film was very fun, but you feel a little let down that the movie doesn't take a definitive stance. People are still debating now who won in that original movie, you know. So, I do want people to walk away from this film feeling like, Okay, there is a winner." Screw McGregor and Mayweather, this is going to be the ultimate fight and will last more than a few rounds. It is good that Wingard is bringing up the age-old debate of who won when the two monsters went up against each other previously. The two originally fought in 1962's King Kong vs. Godzilla and it was unclear who the ultimate winner was at the end of the movie. The two fell into the sea, with only King Kong emerging from the water, but is almost certain that Godzilla survived and swam to safety to lick his wounds. No matter who wins in the end, there is going to be a strong debate and there will more than likely be a backlash from fans who champion one or the other. Many fans seem to believe that since King Kong got top billing for the 1962 movie and that he was the only one seen to come out of the water that he was the clear and obvious winner. That's a pretty shaky argument, but hey, we're talking about a giant lizard and ape fighting to the death here. Adam Wingard's Godzilla vs. King Kong is all set to rumble into theaters on May 22nd, 2020, so we have quite the wait ahead of us. Luckily we have Michael Dougherty's Godzilla: King of the Monsters coming out on March 22nd, 2019 to hold us over. In the meantime, check out Wingard's adaptation of Death Note when it premiers on Netflix on August 25th, 2017 to see what kind of darkness we can be in for when Godzilla vs. King Kong hits theaters.